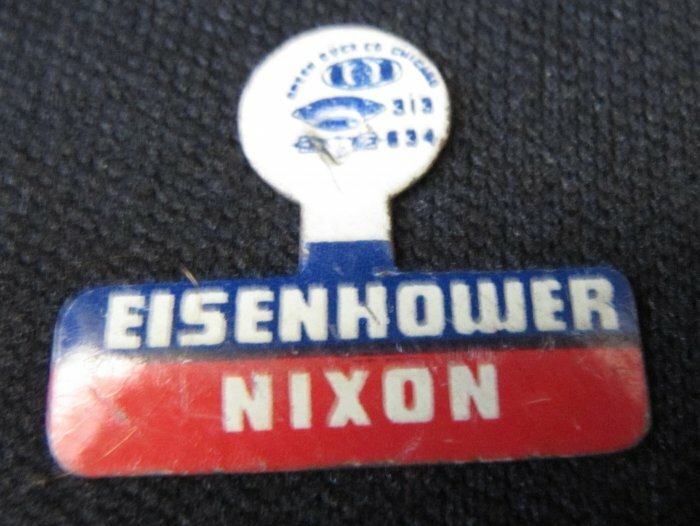 Vintage EISENHOWER NIXON Campaign Tab Pin Metal Unbent Green Duck Co. CONDITION: Pin has not been bent back. Sharp, distinct lettering, with the printing slightly off center to the right. Minor scratches on the front and normal age-related darkened areas on the back.